Aegina and Athens (Piraeus) are connected with daily and frequent ferry schedules, especially during high season. You can find both high speed or regular ferries departing every day from Aegina to Athens (Piraeus) at almost every hour. There are around ten options of ferry departing from Aegina to Athens every day and all the ferries arrive at the Port of Piraeus at Athens. The earliest departure is usually at 8:00 in the morning and the last departure is usually around 19:00. The trip takes from 40 minutes to 1.15 hours. The ferry tickets to this route are quite cheap, an average ticket price goes from € 8.00-€ 14.00 according with the speed of the ferry, high speed ferries are more expensive than regular ferries and usually high-speed ferries don’t have garage for cars. 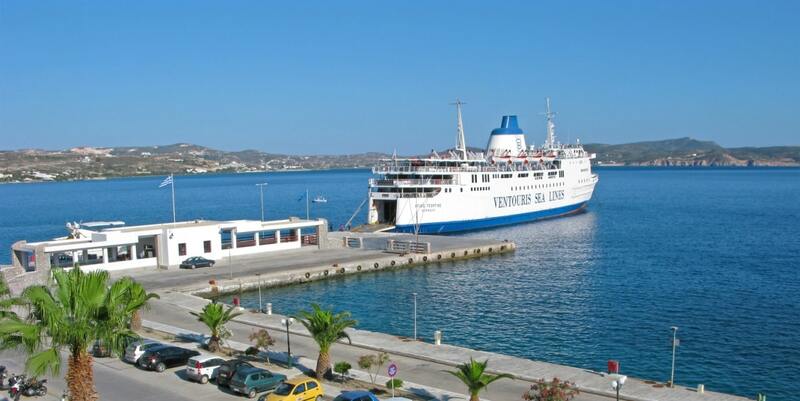 The ferry companies that operate on this route are Blue Star Ferries and Saronic Ferries. What is the distance between Aegina and Athens (Piraeus)? Aegina is the closest island to Athens. Athens (Piraeus) and Aegina are in a distance of 45 km from each other, usually the ferry trips last from 40 minutes with high speed ferries and 1.15 hours with regular ferries. What ferry to choose at the Aegina to Athens (Piraeus) ferry Trip? You can choose between a high-speed ferry (that is usually operated by the company Blue Star Ferries) or a regular ferry. The ticket of a deck-lounge at a regular ferry is more cheap than a standard seat of a high speed ferry, but the high speed ferries usually don’t allow vehicles, while at the regular ferry you are able to take your car to the island after paying a certain amount of money, the price of a family car goes around € 20.00- € 25.00 depending about the company. A regular ferry is around € 8.00 while the high-speed ferry would be around € 14.00. You should choose your ferry according with your preference regarding to the speed, price of the ticket, and the option of taking vehicles or not.